Microgrids are good, underground microgrids are even better, especially in storm-prone regions. Buried wires are spared the destruction — and outages — brought by wind, snow and ice, which often topple over-head wires. Underground microgrids also escape the ire of neighbors who increasingly protest against stringed wire, especially in scenic areas. Given the advantages of underground microgrids, it will be interesting to watch progress on two projects being planned in the stormy Northeastern cities of Hoboken, New Jersey and Potsdam, New York. Hoboken plans to build an underground microgrid that may serve up to 55 facilities. The project is expected to cost $29.9 million to $48 million, depending on the microgrid’s final size and architecture. Still in the early stages of developing the microgrid, the city is exploring regulatory hurdles, financing and partnerships. Hoboken’s city government drew more than 100 microgrid developers, vendors, engineering firms, insurers, government officials and others to a meeting in November where it unveiled the microgrid’s conceptual design, created by Sandia National Laboratories. As designed by Sandia National Labs, the microgrid will be separate from the grid, with no point of common coupling with the utility and no backup service from the grid. Nor will it feed services into the grid — although the city is contemplating possible demand response participation. A densely populated neighbor to New York City, Hoboken is prone to flash floods and was hard hit during Superstorm Sandy in 2012. Hence, flooding concerns played a big role in design considerations. 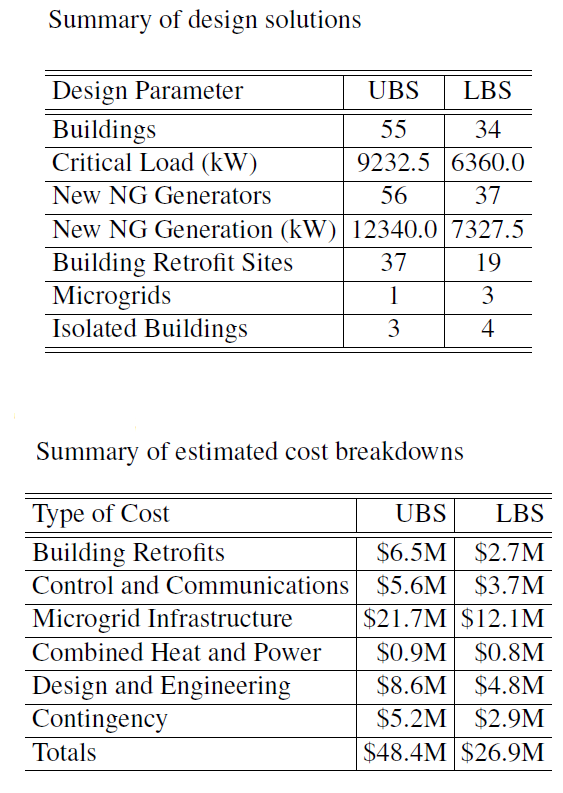 For example, Hoboken categorized each building within the microgrid based on its location within the flood plain to help determine the level of work required. The city plans to elevate some components of the microgrid and bury others. The distribution backbone — all conduits — will be flood-proofed and buried. The undergrounding adds to construction costs, but hardens the microgrid to storms. “You can’t do this above ground and protect against wind damage in a comprehensive way,” Stratton said in an interview. The city hopes to minimize undergrounding costs by coupling some of the work with its road resurfacing program. It will ask bidders to include costs to prepare the underground conduit for the microgrid. “We have an opportunity to build the spine ahead of the generation, which will be easier to finance,” he said. Meanwhile, further north, snowy Potsdam is planning an underground microgrid that it hopes will serve as a model for other weather-stricken towns and cities. Potsdam is near the Canadian border. The project has won a $1.2 million grant from the DOE, $300,000 from GE, and a $381,000 for design from the New York State Energy Research and Development Authority. 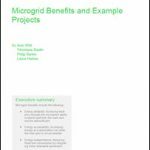 The developers of the underground microgrid are GE Global Research, GE Energy Consulting, National Grid, the Department of Energy (DOE) National Renewable Energy Laboratory (NREL), and Clarkson University. The eMCS plays two key roles: it will help the underground microgrid deliver resilient, high-quality power to Potsdam and allow the microgrid to provide services to the local utility. The Potsdam microgrid will serve about 12 entities: emergency service providers, utilities, power generation sources, and staging areas, along with housing, fuel, and food providers. Underground fiber optics will keep communications up and running during an emergency. 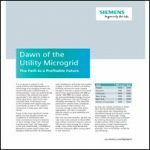 The microgrid may use a variety of power sources, possibly 3 MW of combined heat & power, 2 MW of solar photovoltaics, 2 MW of energy storage and 900 kW or more of hydro-electricity. The two-year DOE project will begin with 18 months of engineering and design at GE Global Research, followed by a six-month testing period at NREL which is setting up a simulation microgrid that simulates Potsdam’s needs. Track the Hoboken and Potsdam microgrids — and many others — by subscribing to the free Microgrid Knowledge newsletter.